These purple plastic milk crates are available in quantities of 96. 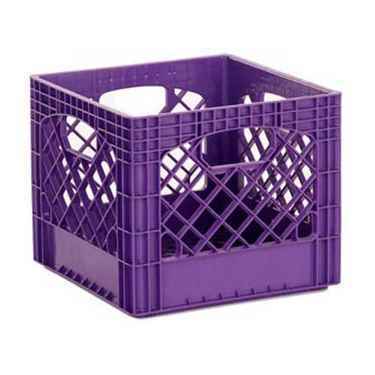 Use this purple milk crate as a standard dairy crate or get creative with other food storage options or even make your own fun college furniture. See all Plastic Milk Crates.